When a Delhi-based vault cutting unit arrived at Tinsukia to check the ATM, they found heaps of destroyed 500 and 2000 rupee notes. And alongwith it, a carcass of a dead mouse. 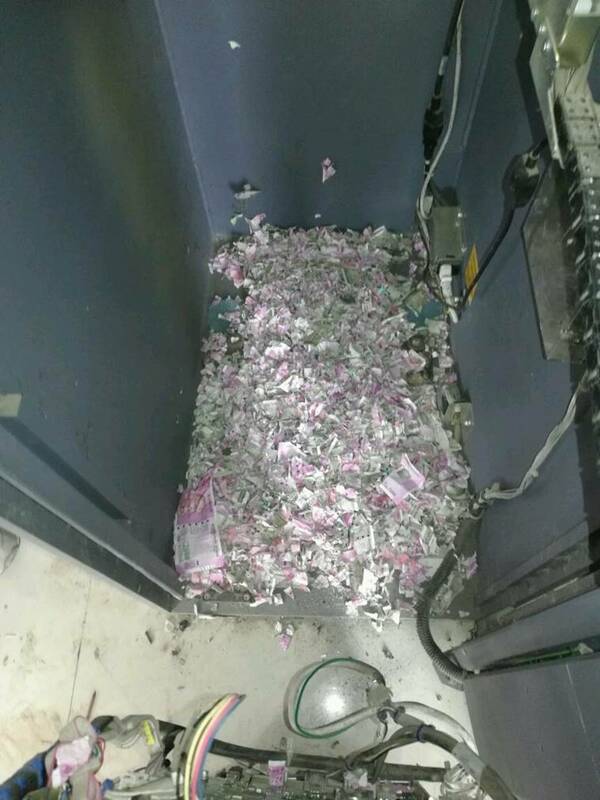 On June 11, when a few repairmen visited the outlet to get the machine fixed, they were surprised to find heaps of 500 and 2000 rupee notes shredded into tiny pieces. 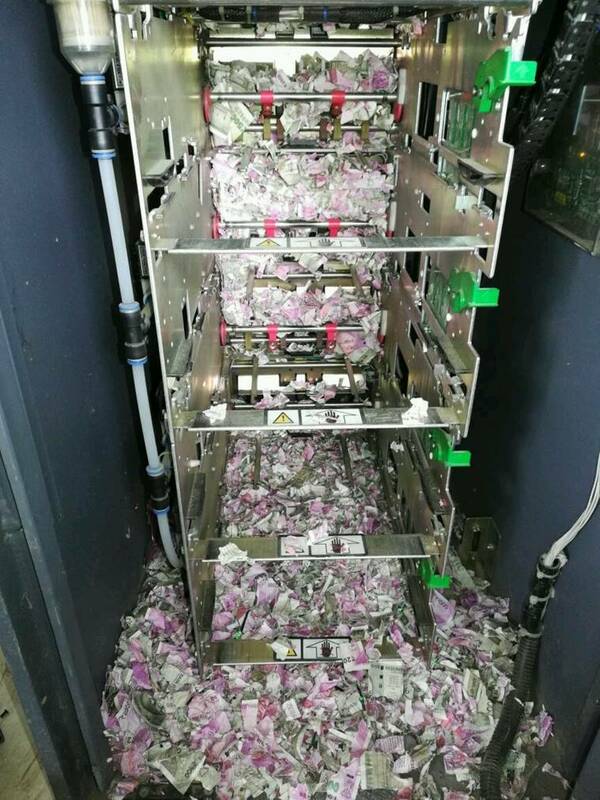 A different kind of demonetisation struck Assam’s Tinsukia district when mice allegedly shredded notes worth Rs 12 lakh inside a State Bank of India (SBI) ATM. The SBI ATM (DFBK – 000196116) in Hijuguri’s Bahbari locality has been shut due to a technical snag since May 20. However, behind closed doors, unknown to the world, it was hosting an army of four-legged guests: mice. 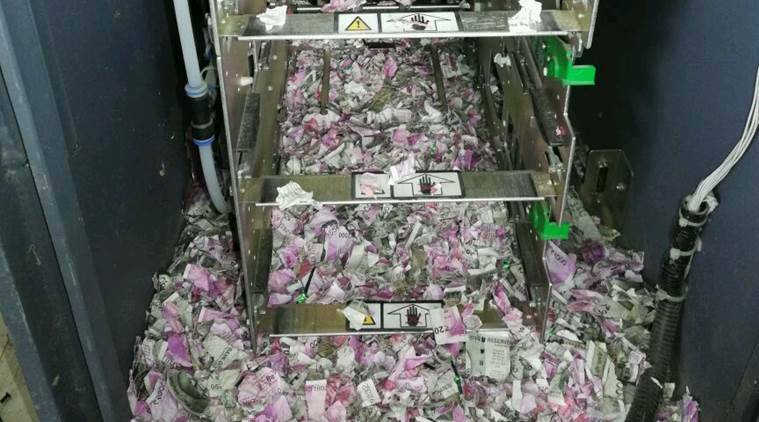 On June 11, when a few repairmen visited the outlet to get the machine fixed, they were surprised to find heaps of 500 and 2,000 rupee notes shredded into tiny pieces. “We have been able to salvage about Rs 17 lakhs,” a bank official confirmed to a local news channel on Monday morning. “On 28th May, FIS got a Kolkata-based audit team to check the machine. But for some reason they were unable to open it up,” says the police officer. On June 11, a vault cutting unit arrived from Delhi. “When they opened it up, they found the destroyed notes. And alongwith it, a carcass of a dead mouse,” he says. According to bank officials, notes worth Rs 12,38,000 have been destroyed by the mice. FIS had reportedly deposited Rs 29 lakhs inside the machine on May 19. “The ATM had stopped working the following day,” says a Tinsukia-based journalist. The underside of the machine apparently had a hole for wires to go through — “We suspect this is how the mice entered,” says the police official, adding that the air conditioner of the the ATM had been out of order for a year. FIS has lodged an FIR with Tinsukia police to probe the incident. “May 20 and June 11 is a significant period of time for an ATM to be out of service. People are suspicious as to why it took so long for the mechanics to arrive,” says the journalist, who first heard about the destruction through a Whatsapp forward. However, the police feels that this was accidental. “If there were humans involved, there would have been some sign of breaking and entering,” says the police officer, adding that based on the way the notes have been destroyed, it is evident that it was done by a rodent. “We have been able to salvage about Rs 17 lakhs,” a bank official confirmed to a local Assamese news channel on Monday morning. Many, however, still express doubts over what really happened inside the kiosk. The CCTV footage is still being awaited by the police. “Till then we cannot officially comment on the investigation,” says the officer. “People are suspicious as to why it took so long for the mechanics to arrive,” the journalist, who first heard about the destruction through a Whatsapp forward, said. “We are going to ask FIS to compensate for the money lost,” says the bank. Repeated calls to FIS have gone unanswered. With lakhs being shredded under mysterious circumstances, it is not surprising that everybody smells a rat.